Adults feed on the leaves, pollen, and nectar of plants. They are commonly named for their toxic body fluid, which causes skin blistering; some species can release this fluid if they are attacked. 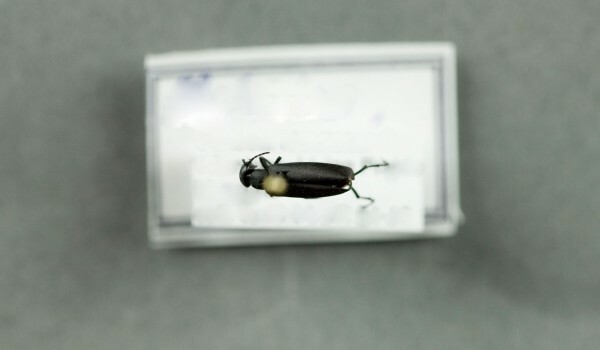 Since ingestion of these beetles can be fatal, some have warning colours to deter potential predators. 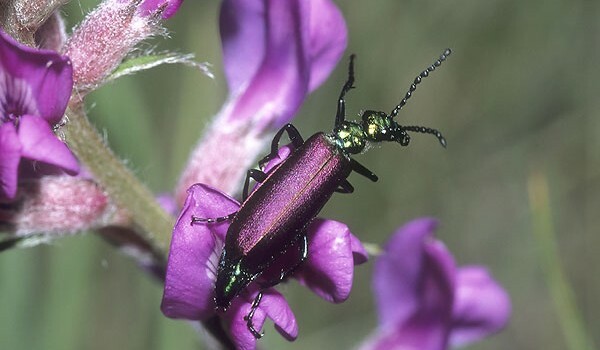 The larvae of blister beetles climb onto bees and hitch a ride to the bees’ nests where they proceed to eat the eggs and stored food. A complete life cycle can take from 30 days to three years. Adults often live three months or more. Females mate periodically, and lay batches of eggs on plants or near/in host nests. Most larvae are parasitic or insectivorous, and have several stages. The first is active and searches for a host, while later stages are less active. Over-wintering occurs in a pseudopupal stage. 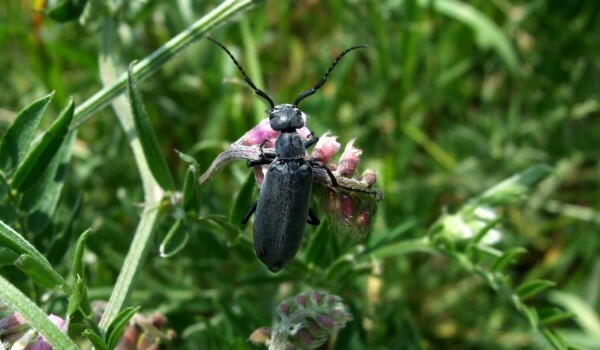 These medium to large beetles are 3-30 mm long, with an elongated, cylindrical body. They are slightly leathery, with elytra usually rolled over the abdomen. Their long legs have claws divided in two. 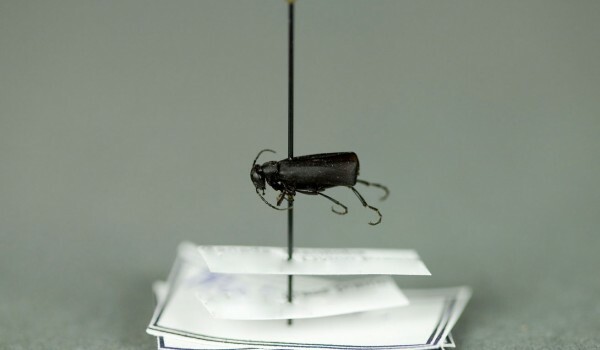 The pronotum is narrower than the elytra and rectangular head. Antennae are thread-like or beaded. Colouration ranges from dull (black, brown, tan), to bold warning colours. Adults are often found on flowers and leaves of plants. Larval stages are rarely seen, and usually live underground or in the nests of bees.